Now shipping with 3 varieties (60 seeds in all). 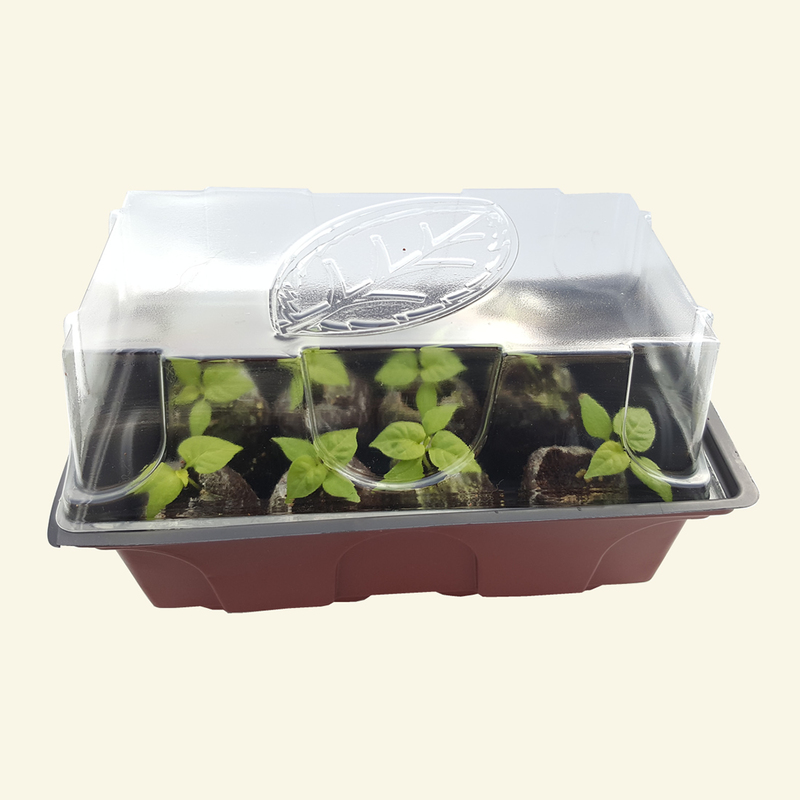 The propagator is designed to take 8 Coir compost plugs (peat-free) and can be re-filled once the seedlings are potted on. Click on the Images for a picture of the kit contents and an example of a chilli seedling growing away. Apart from the pencil and the plant markers, all the components of this kit are available separately. Chilli seed germination and plant growth needs a temperature of at least 20c. To increase the speed of germination and the growth-rate of seedlings during the colder months, use a warming mat or thermostatic heating mat. 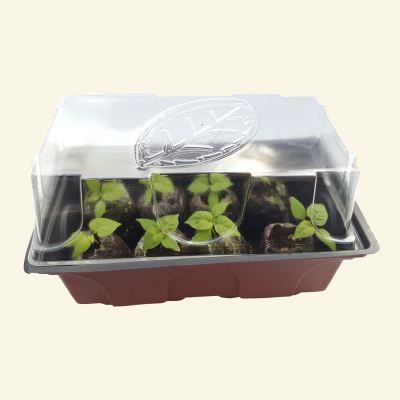 For instructions on re-hydrating and sowing seeds into plugs in our propagators, see our "growing kit instructions"
Size: w:17cm, h:23cm, d:9cm, weight 500g excluding postal packaging. The kit has all the goodies I need to get going! In the past I have grown Jalapenos & Ceyennes on a more ammature level, using regular compost & tomato feed etc. But this time round I have been more adventurous & gone for four varieties, Tepin, Aji Limon, Senor Serrano & Twilight....so thought I'd best get some proper kit! Ordered this Tuesday, received at my place of work on Thursday - excellent. Will be placing another order shortly. I bought your chilli growing kit last year at the Cheltenham Food Festival in June and it was very successful. I did not see your name on the list of exhibitors however for this June which is why I contacted the website. Hope you are there. I just wanted to say a huge thank you for my package.. I opened the front door this morning to find a large box in my porch, for which I am so very grateful to you as I made the purchase on behalf of my daughter for Fathers Day. This is the second time I have purchased goods from you and the service has been excellent. My partner Carl was so pleased and was overwhelmed (chuffed to pieces) with his chilli growing kit, he is like a little kid in a chocolate factory ! As for the hottest sauce ever, yes you are indeed correct, he burned his whole mouth, trying to prove you wrong !!! ha ha. Thank you very kindly. I will most certainly recommend your services to my friends and colleagues. 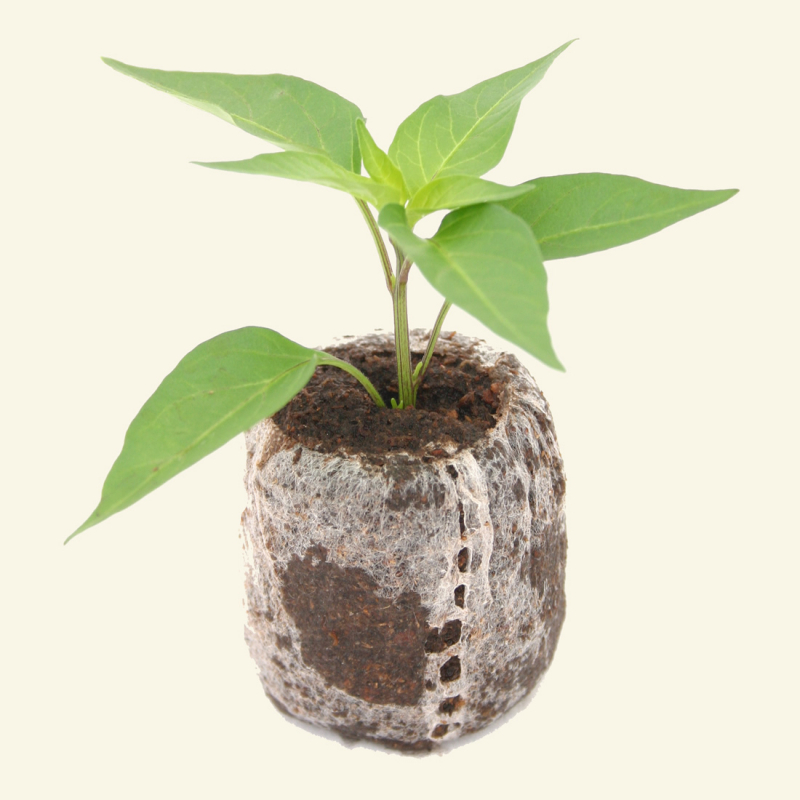 I love this chilli growing kit and would highly recommend it - I am hooked and have even started growing cherry tomatoes now - thanks chilli farm!